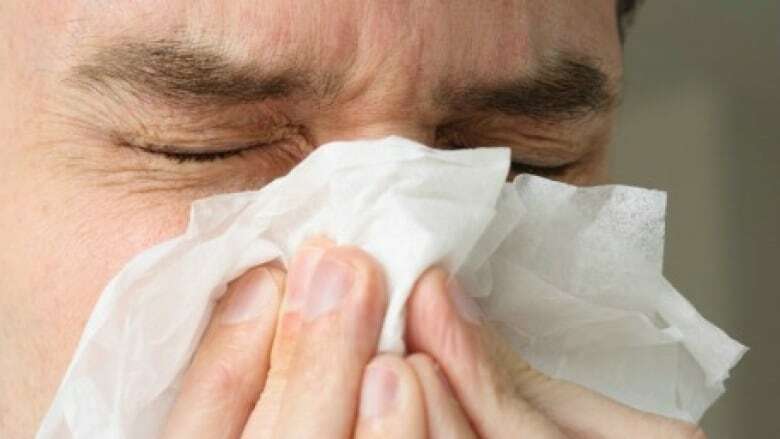 Alberta Health Services has seen a spike in severe respiratory infections this flu season and is reminding the public to take precautions. Health officials have been contending in recent months with an unusually high number of cases of respiratory syncytial virus (RSV). "We have already seen more RSV outbreaks and positive lab specimens across the province at this point in the season than in the 2015/16 season in full," Dr. Gerry Predy, senior medical officer of health, said in a statement issued Thursday. "Though not unusual for us to see this illness each season, the volume is higher, which means heightened risk, particularly for infants." Considered extremely contagious, RSV usually resembles a bad cold, including a cough, stuffy or runny nose, mild sore throat, ear ache and fever. In some people, especially infants and young children, RSV can lead to more severe respiratory complications, including pneumonia and bronchiolitis, an infection of the small airways. Children and babies who develop RSV bronchiolitis can spend weeks on a respirator because they are unable to breathe through tiny airways clogged with mucus. As of Jan. 17, there were 14 RSV outbreaks confirmed, as compared to nine RSV outbreaks confirmed last season. AHS said outbreak investigations begin when two or more cases of respiratory illness are reported within a seven-day period among people linked by location, setting or a common caregiver. Though some patients are tested more than once, the numbers of confirmed infections have also spiked. As of Jan. 14, more than 2,000 positive lab specimens have been confirmed for RSV, as compared to approximately 1,300 in 2015. Because there is no vaccine for the virus, health officials are urging people to take preventative measures. "What we ask of you is simple," Predy said. "If you're feeling sick, don't visit the vulnerable. This includes infants, seniors and those with compromised immune systems. Also, please remember to wash hands frequently and stay home from work, school and social activities when sick."